The unending onslaught of violence brought on by Syria’s regime has resulted in an unimaginable death toll of civilians. News has been surfacing of military generals and other high ranking commanders defecting from the regime and fleeing the country with their families. 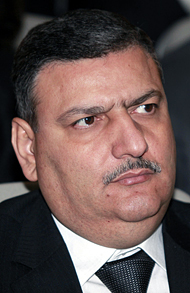 There is now rumor that Syria’s Prime Minister, Riyad Farid Hijab, has packed up his bags and fled as well. If the news is true, then this will make Hijab the highest ranking administer to defect from President Bashar al-Assad’s government. The news of Hijab’s defection was initially reported by opposition forces. Syria’s government-run media, however, has denied all rumors of Hijab making an about-face. The media has insisted that Hijab was fired and did not defect as reported by the opposition. There are also reports that the country’s finance minister defected as well; this is also being disputed by the media. Since the conflicts began about 17 months ago, Syria’s regime has consistently been fazed by the sudden defection of top military and civilian officials. According to an activist, while Hijab had close ties to President Assad’s brother, he appeared to be deeply disturbed by the atrocities committed by the government he was heading. Aside from the defections, Iran’s role in the melee is also becoming more tangled. Rebel fighters have reported the capture of 48 Iranians in Damascus. Iranian officials have also called for an international emergency conference to be held in Tehran. According to the rebels, the captured Iranians are members of the country’s Revolutionary Guards. Iran has denied the claims and insisted the men were merely visitors embarking on a pilgrimage to a religious shrine in the city of Tadamon. Iran has been an ardent supporter of President Assad and has continuously blamed Syrian rebels for the violence and civilian deaths. It has also blasted neighboring countries for siding with the opposition.